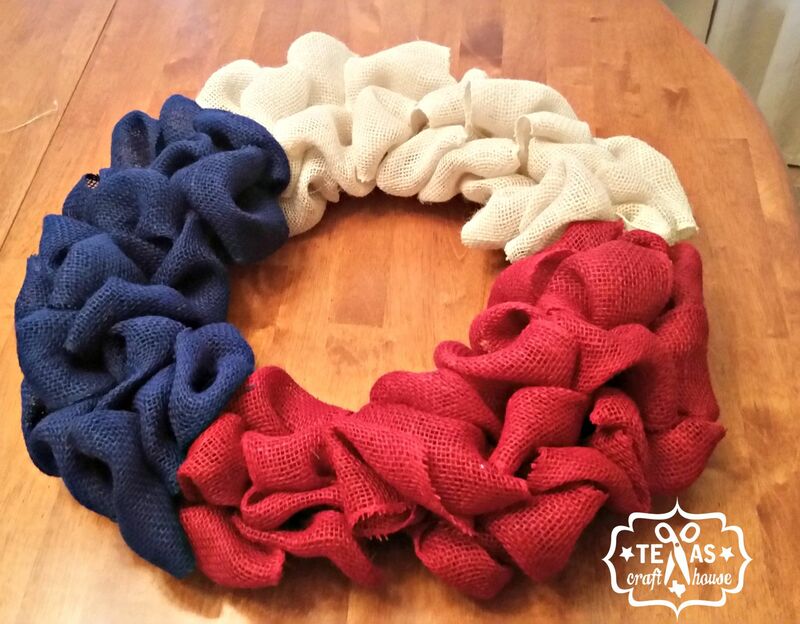 You’ll need around 20 feet of red, white and blue burlap and an 18inch wreath form. 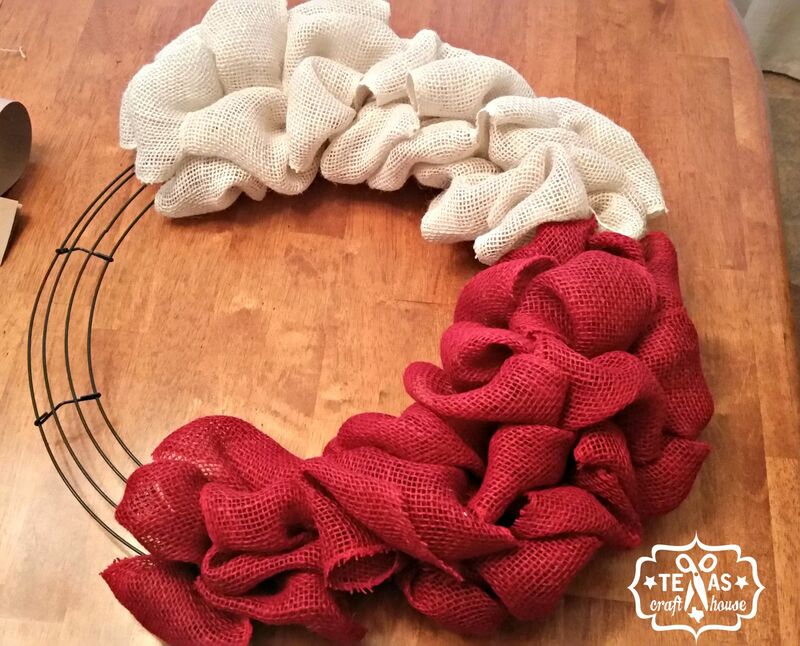 Start with your red and make sure it’ll end up on the bottom of your wreath. The red is one the bottom part of the Texas flag. It’ll take up three (bar-to-bar) sections . Then put white on top of it. 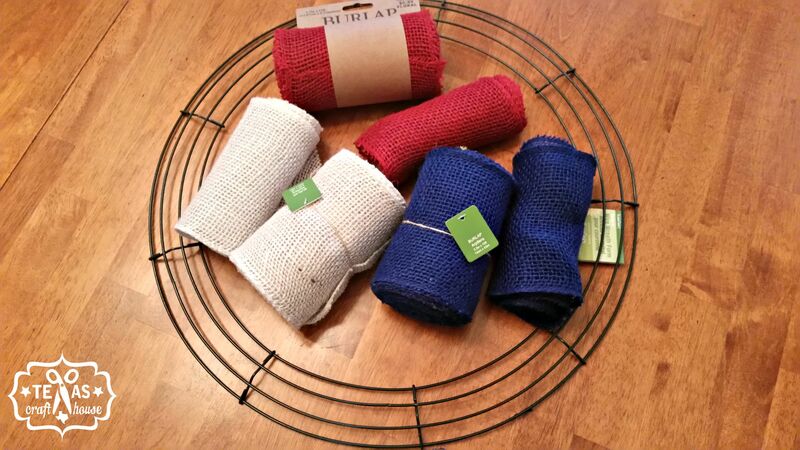 The white burlap will also take up three (bar-to-bar) sections. Then you’ll need the blue section, where the Texas star is. The blue is also three (bar-to-bar) sections. 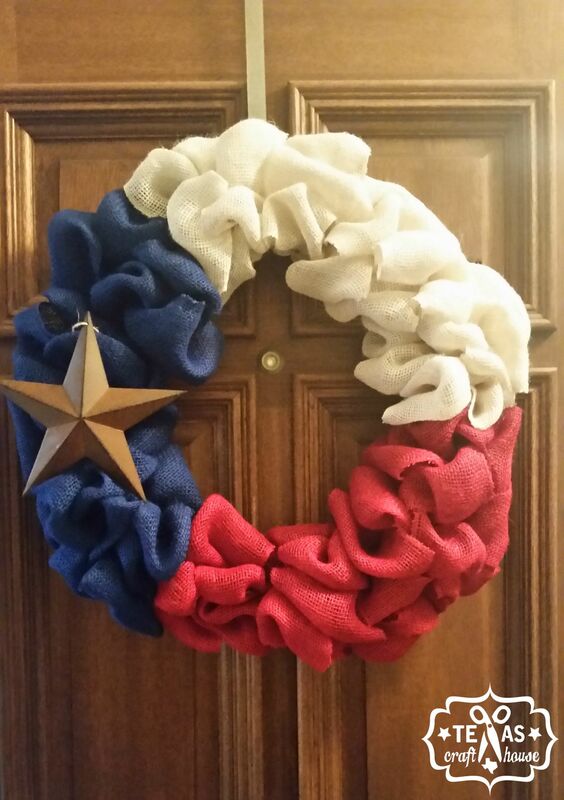 So all colors were equally spaced on this wreath. Curious how to make the ruffles? 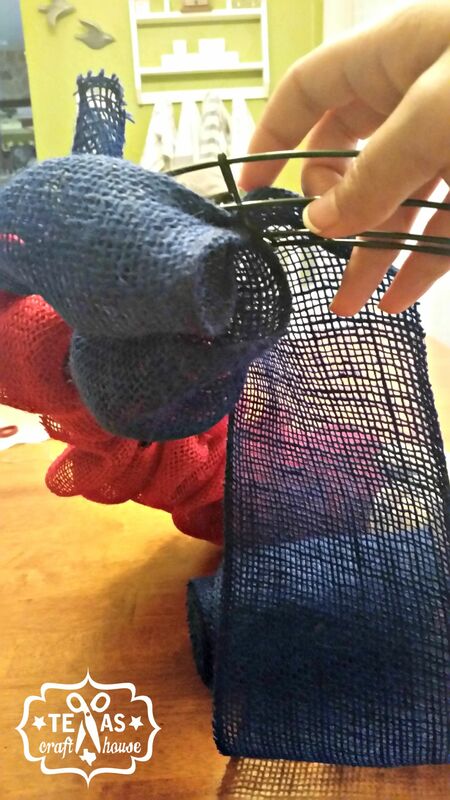 When you start a color simply thread the burlap through one of the middle bars and tie the end into a knot. 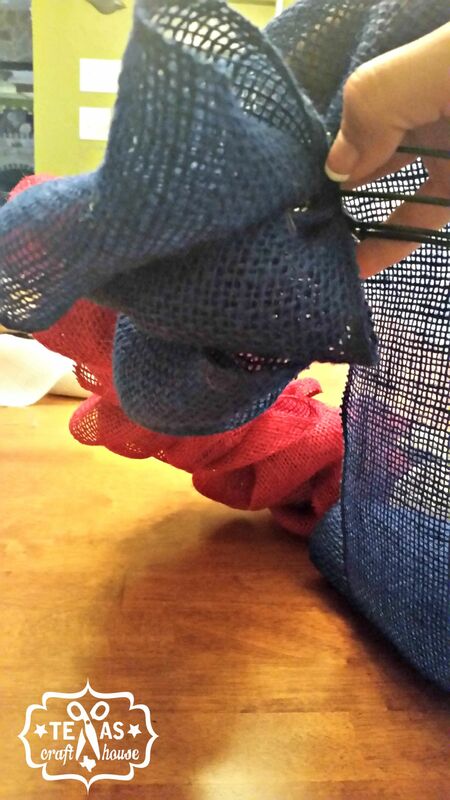 Do this from the back of the wreath form. 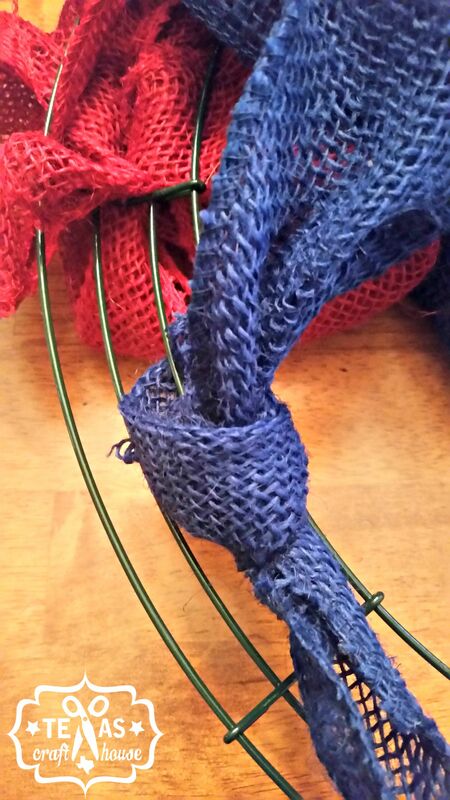 Each bar to bar section has three rows of ruffles – so nine ruffles in each section. 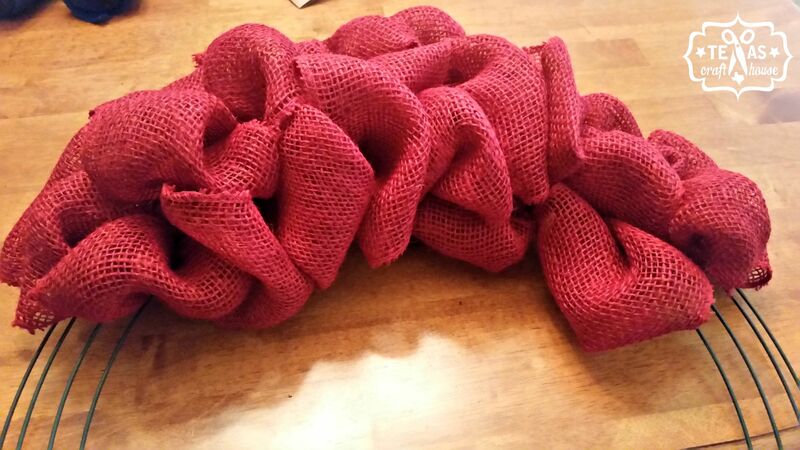 If you run out of burlap just grab a new roll, tie and continue with the ruffles. 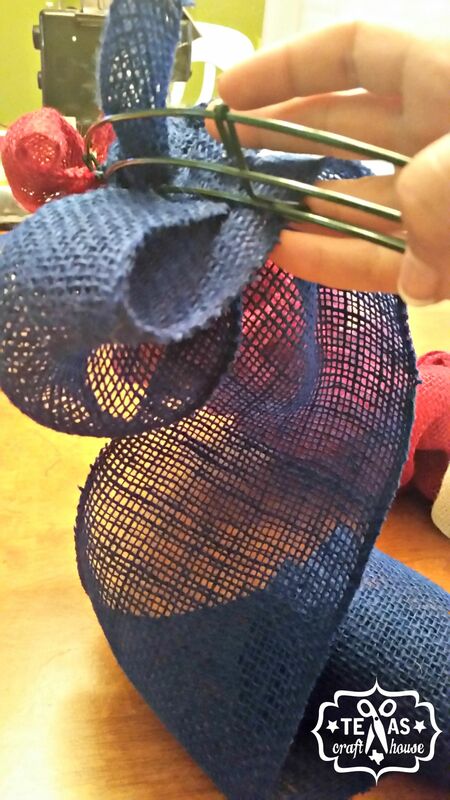 Here is the finished product after adding a rustic barn star to the blue with some leftover twine. When I came home today the sun was shining right on my front door and this little gem of a wreath was lit up loud and proud. It looked gorgeous! Especially against my large wooden door. 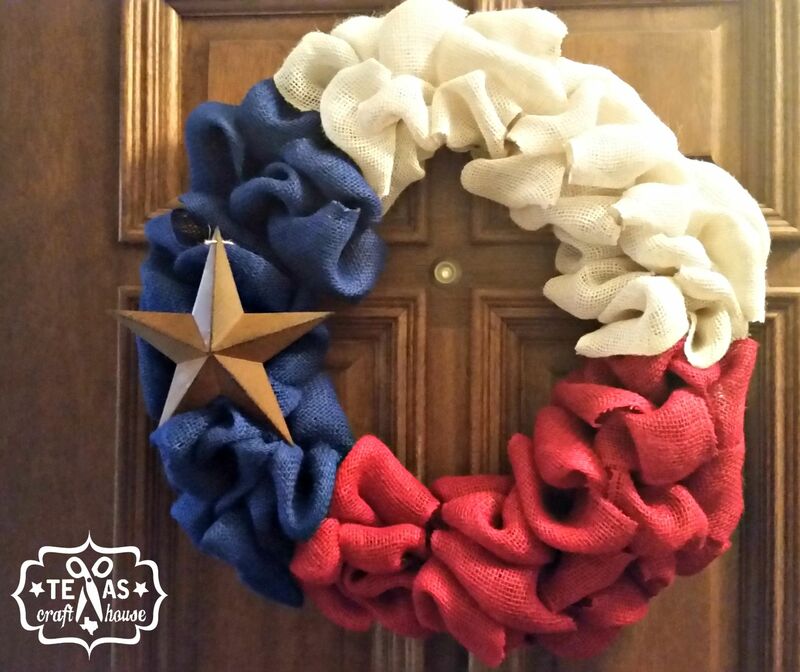 I think this wreath would look good with the natural brown burlap too but the white really makes it pop. I tried to find the brightest red and blue I could find to make it stand out. The hardest part was finding a metal star that looked perfect. 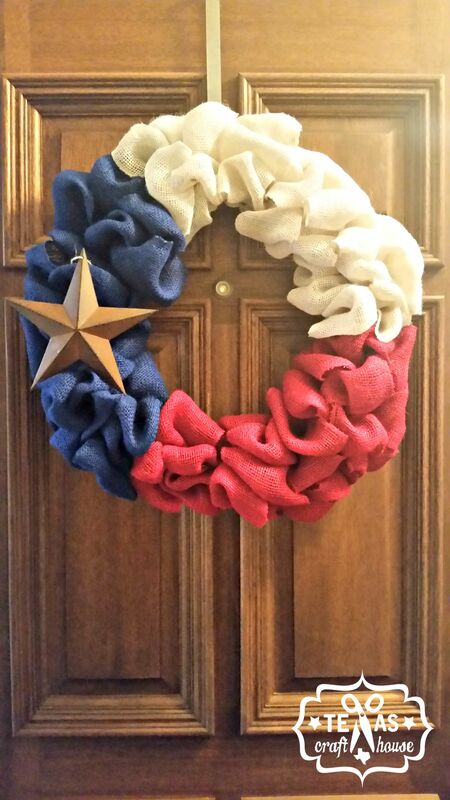 I really wanted the rustic, barn, Texas star but I think a large white one would really pop too!